When we purchased our first microwave, it came with a cookbook. I haven’t used this cookbook all that much, but for a hot fudge sauce recipe that is so yummy. We actually purchased this microwave over 25 years ago and have been making this hot fudge ever since then. 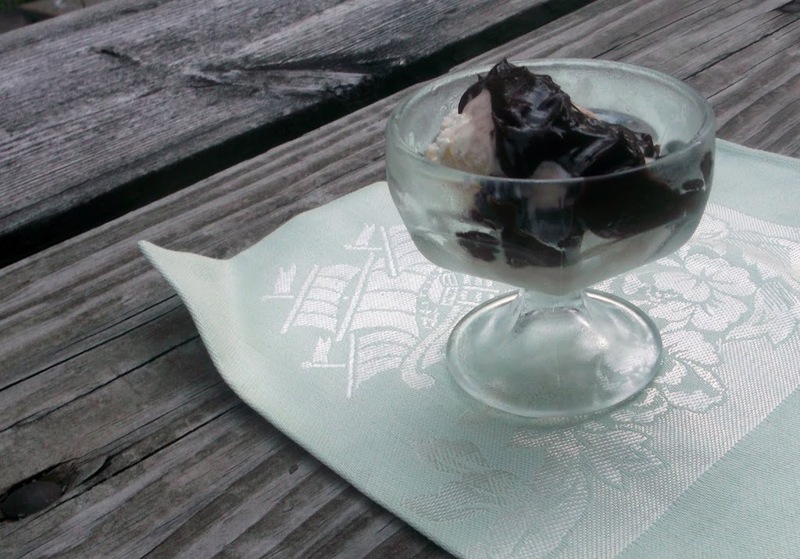 This hot fudge recipe is so delicious that I never make any other hot fudge recipes. It is terrific for just a topping on ice cream to brownie sundaes. The weather has been super hot so I decided it would be a great time to share this recipe. Wouldn’t a hot fudge sundae go great just about now? 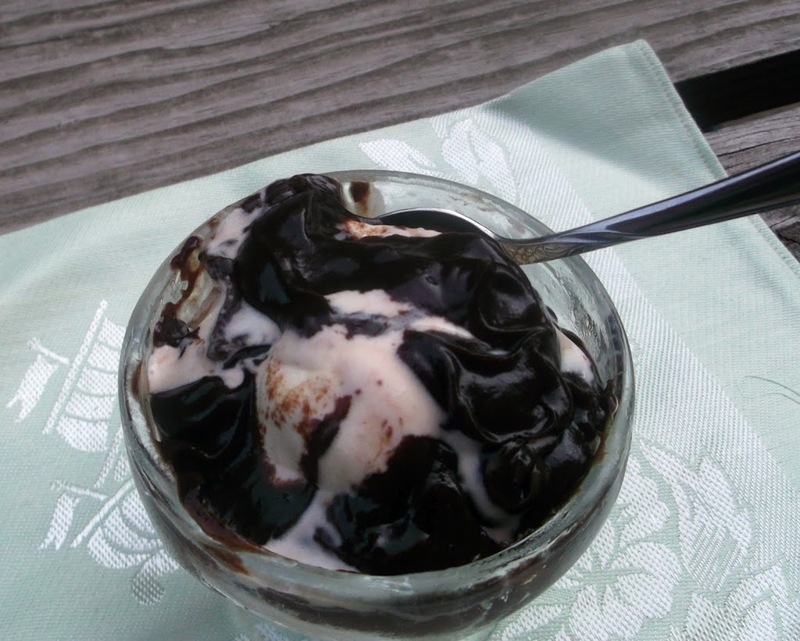 You can’t go wrong with this hot fudge, it is really chocolaty, thick, and so creamy. When I make this hot fudge sauce it never last very long, everyone in the family simply loves it. I have used it for a simple hot fudge sundae, but have used it for an ice cream roll that my family loves. 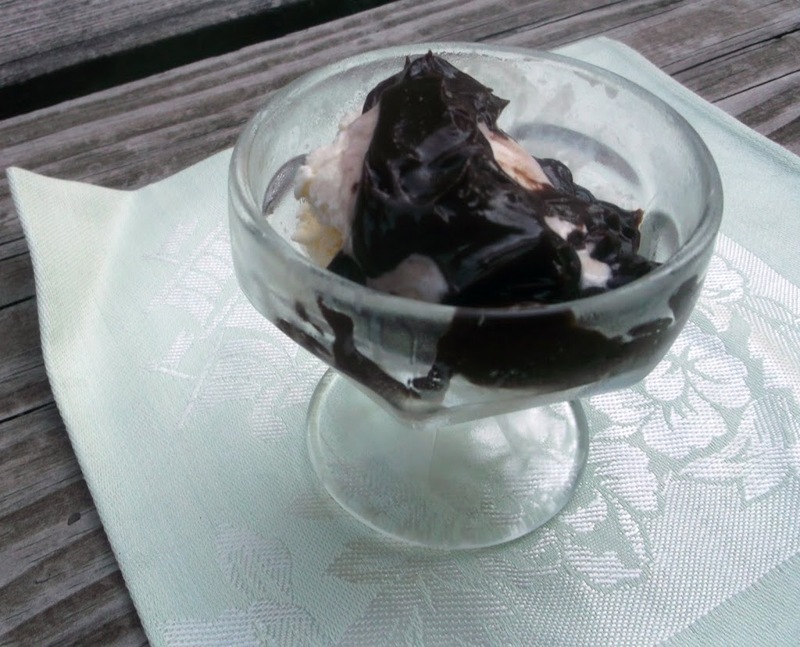 So I hope if you are looking to cool off with a delicious hot fudge sundae you will try this recipe. I am sure you will enjoy it as much as I do. 1. Mix together dry ingredients in a 1 quart glass measuring cup. Stir in water. 2. Cook in Microwave oven on full power for about 1 1/2 minutes (it may be less time in you have a higher watt microwave).Stir half way the cooking time. Blend in butter and cook on full power for another 30 seconds or until butter is melted. (The longer you cook it the thicker it will become). Stir halfway through cooking time. Blend in vanilla. Stir thoroughly. Enjoy!! Now on to the award. I was given the Versatile Award from Debra Ann at Granny’s Down Home Southern Cooking. I would like to thank her for thinking of me and encourage you to visit her blog.